Way back in 2015, Kaspersky Lab helped Dutch cyberpolice catch the creators of one of the very first pieces of ransomware, CoinVault. The decryptor we developed for it inspired the NoRansom portal, where we upload tools for unlocking files after various encryption attacks. Although CoinVault’s creators were caught a while ago, the first court hearing took place recently, and our expert Jornt van der Wiel attended. 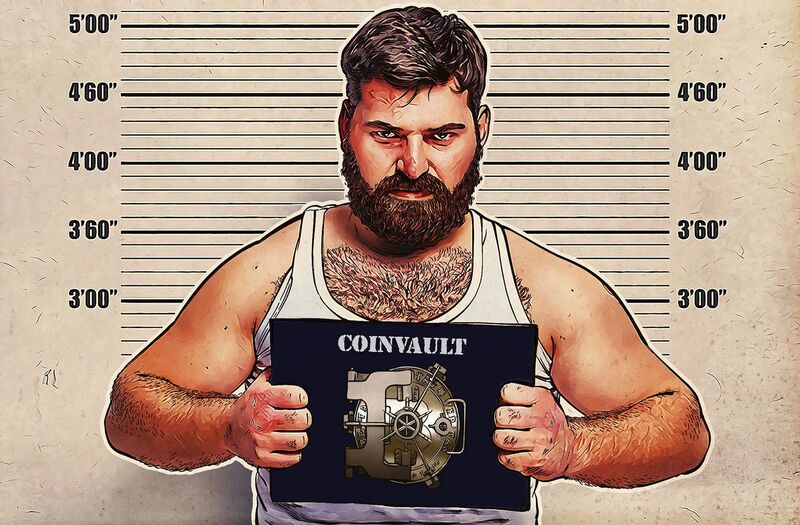 CoinVault ran riot in 2014 and 2015 through dozens of countries around the world. Our experts estimate the number of victims at more than 10,000. Behind the attacks were two Dutch brothers, aged 21 and 25, who developed and distributed the Trojan. Every victim received a ransom demand for 1 bitcoin, which at the time was worth about 200 euros. The pair snagged about 20,000 euros as a result. CoinVault was ahead of its time. In addition to encryption, it had features that we still see in ransomware Trojans today. For example, the victim was allowed to decrypt one file free. Mentally, this plays into the hands of the cybercriminals: When victims realise they are one click away from recovering their vital data, the temptation to pay up becomes stronger. The on-screen timer is another of CoinVault’s psychological teasers, inexorably counting down to a higher ransom demand. We studied CoinVault and described its structure in detail in late 2014. The malware authors took great pains to hide it from security solutions and hinder its analysis. The ransomware can determine, for example, whether it is being run in a sandbox, and its code is heavily obfuscated. Nevertheless, our experts were able to get to the source code and find a clue that ultimately led to the criminals’ arrest: It contained some comments in Dutch. It was fairly likely that the malware hailed from the Netherlands. We passed the information to the Dutch cyberpolice, and within a few months they reported the successful capture of the campaign masterminds. Thanks to our cooperation with the Dutch police, we managed to obtain the keys from the C&C server and develop a data decryption tool. The police collected almost 1,300 statements from victims of the ransomware. Some of them appeared in court personally to demand compensation. One victim, for example, had their vacation ruined by the ransomware. They estimated the damage at 5,000 euros, saying that this sum would enable them to pay for another trip. Another victim asked for the ransom to be paid back in the same coin — bitcoin. Since the attack, the cryptocurrency exchange rate has risen almost thirtyfold, so if the court satisfies the claim, it will be the first time that an injured party has earned money from a ransomware attack. At the recent hearing, the prosecutors demanded punishment in the form of three months’ imprisonment, followed by a nine-month suspended sentence and 240 hours’ community service. The defense asked the court not to put the brothers behind bars, arguing that the defendants had cooperated with the investigation, plus one is irreplaceable in his current job and the other is in college. The verdict will be delivered at the next hearing, on July 26. Don’t click on suspicious links and don’t open suspicious e-mail attachments. Make regular backups of important files. Use a reliable security solution. The Good, the bad, or the ugly?